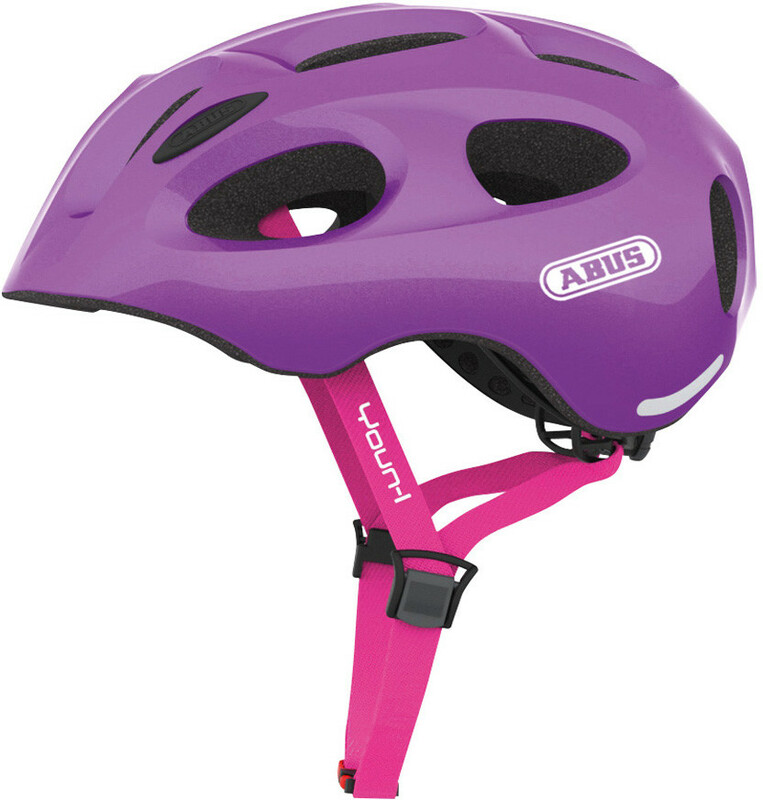 ABUS: A junior version of the legendary Urban-I, this brand new youth helmet with its modern design is suitable for any activity like BMX, mountain biking, or skateboarding. Due to its low weight and very effective ventilation the Youn-I provides perfect comfort. A trendy look, durability and safety – the Youn-I is the smartest solution for kids and young adults who want to look just like the grown ups. The Youn-I doesn`t just look and feel like a premium helmet, it is also full of features like in-mold construction, large vents, colour coded straps and padding, or a built-in bug mesh. Visibility is crucial so this helmet is equipped with reflective strips and an LED rear light, while the eye catching brilliant colours provide additional safety during the day.